If you have any questions, please give us a call at 407-347-0099. Small 501(c)(3) organizations with estimated gross annual income of $50,000 or less during each of the first three years. Larger 501(c)(3) organizations with estimated gross income of more than $50,000. Other types of nonprofit organizations including 501(c)(4), (c)(6), and (c)(7) organizations. Not ready for a commitment? Check out our à la carte pricing. State registration requirements vary. Your myRENOSI online dashboard helps you keep track of what’s required in your state. Federal and state-levied filing fees not included. Additional fees for 990EZ or full 990. Must expect to raise $50,000 or less in total gross income (from all sources) during each of your first three years of operation. Must be applying for tax-exempt status as a public charitable, educational or scientific organization under section 501(c)(3). Organizations that are applying for exemption as lobbying organizations, business associations (aka trade associations), or social organizations (e.g fraternities, sororities, recreational organizations) must apply using IRS Form 1024. Have a primary address outside the U.S.
ARE YOU A SCHOOL BOOSTER CLUB? 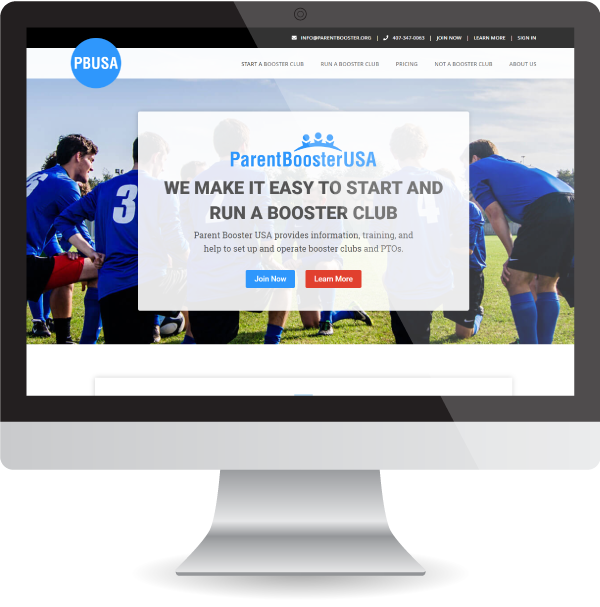 Parent Booster USA helps set up and maintain booster clubs and PTOs. Their IRS group exemption allows for immediate 501(c)(3) tax exemption upon membership approval, all at a lower cost than filing independently.